Recently refurbished, City Limits Hotel Apartments' modern interior décor and friendly staffs are here to make your stay a very comfortable one. 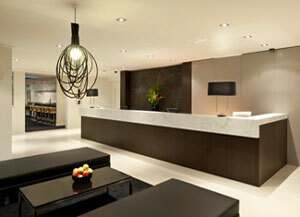 Our Melbourne CBD location is ideal for business and leisure travelers. Welcome to the hotel! City Limits Hotel Apartments provide Hotel accommodation in melbourne and is located at 20 Little Bourke St.
Alto Hotel on Bourke is Melbourne's multi-award winning boutique apartment hotel and is one of the few environmentally friendly rated hotels in Melbourne's CBD (Central Business District). Offering apartment living with true hotel-style hospitality with a selection of rooms that will fit your needs perfectly. Choose from Hotel Rooms, Studio Apartments, 1, 2 or 3 bedroom apartments. 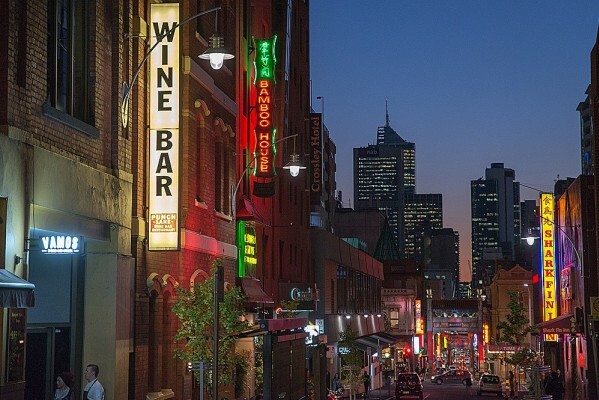 Alto Hotel on Bourke successfully brings together classic architecture of the late 19th century and a contemporary, stylish interior plus a range of inspired services and facilities, making your stay an enjoyable experience in the centre of Melbourne. Alto Hotel On Bourke provide Hotel accommodation in melbourne and is located at 636 Bourke St.
Milano Serviced Apartments provide Serviced Apartments accommodation in melbourne and is located at 8 Franklin Street. 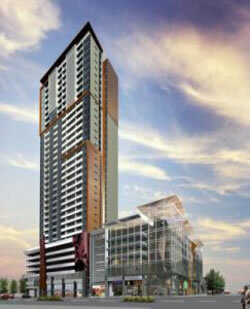 Riverside & Riverside Annex Apartments are situated in "the world's most livable city". The Riverside Annex Apartments are located 50 metres away in a seperate 3 storey building. 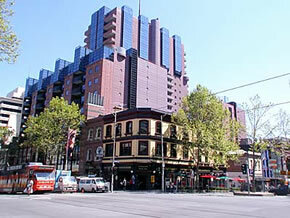 Riverside Apartments provide Serviced Apartments accommodation in Melbourne and is located at 474 Flinders Street. From East Melbourne's tree lined streets, restaurant and shopping precinct to Melbourne's vibrant CBD, Tribeca serviced apartments are perfectly situated for the most discerning corporate or leisure traveller. Situated only 1 kilometre from the CBD, our one and two bedroom self contained boutique apartments are your home away from home. All apartments have either king or twin bedding, separate bathroom, fully equipped kitchen, separate living/dining area, reversed cycle air conditioning, DVD player, private laundry facilities and balcony. Tribeca Serviced Apartments provide Serviced Apartments accommodation in melbourne and is located at 9C / 166 Albert St.
FREE Wireless High Speed Internet Available In All The Apartments. "Tranquility in the heart of the City". Albert Heights Serviced Apartments has been transformed, into a very contemporary and stylish Apartment property. With beautifully appointed Apartments that satisfy all the requirements of todays modern traveller. Superbly located on the door step of the CBD giving you fantastic access to ALL that Melbourne can offer, including major sporting venues, restaurants, shopping and transport facilities. 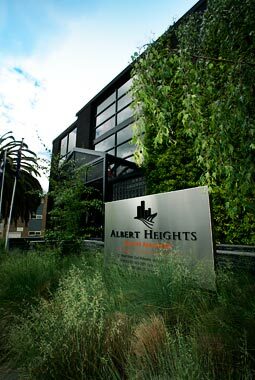 Albert Heights Serviced Apartments provide Serviced Apartments accommodation in Melbourne and is located at 83 Albert Street. Enjoy your stay at this boutique venue surrounded by gardens in bayside Melbourne, comprising 72 modern 4 star rooms and apartments with 24 hrs Reception, Licensed Restaurant and Bar, Gym, 4 conference rooms and an outdoor Pool and is a proud winner of Certificate of Excellence from Trip Advisor for three years in a row. Due to the range of services to available our corporate and leisure clients on their overnight as well as long term stays; Buckingham International is the best choice of accommodation in the area. Best Western Plus Buckingham International provide Motel accommodation in melbourne and is located at 1130 Nepean Highway. Offering boutique style accommodation, The Best Western Plus Travel Inn Hotel is only a short stroll to some of Melbourne's famous attractions. The minute you walk into our foyer, you are welcomed by our friendly staff, who are there to make your stay as comfortable as possible. Our hotel has many facilities and unlike other large, busy hotels, we are able to offer you a more personal service, making your stay with us in Melbourne a relaxed and enjoyable one. 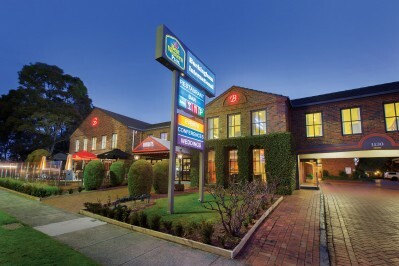 The Best Western Plus Travel Inn Hotel provide Hotel accommodation in melbourne and is located at 225 Drummond Street. 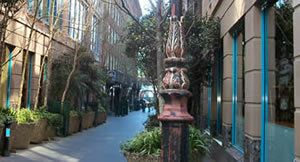 Nova StarGate is nestled between the central business district, QV Centre and the Queen Victoria Market. Nova StarGate is only a five minute walk to Melbourne's central shopping area. With its contemporary style, Nova StarGate offers apartment style accommodation with a microwave in the standard rooms, a kitchenette in the one bedroom apartments and a fully equipped kitchen in the two bedroom apartments. Apartments are fully equipped with their own direct-dial number, in-room safe, iron and ironing board, balcony, remote control colour television, tea and coffee making facilities and reverse cycle air conditioning. 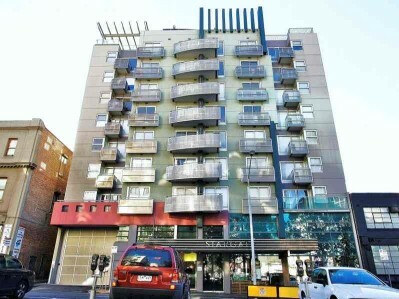 NOVA STARGATE APARTMENT HOTEL provide Serviced Apartments accommodation in Melbourne and is located at 118 Franklin St. Ideally located in the heart of Melbourne's CBD, Paramount Serviced Apartments offer guests one, two and three bedroom fully self-contained apartments with the added luxury of an indoor heated swimming pool and spa, sauna, cardio gym and a rooftop tennis court. Each apartment has its own washing machine and dryer. Same day dry cleaning available for guests. Located below the Apartments is The Paramount Retail Centre (3 levels) featuring an International Food Court. In total over 50 shops and services and a 7 level Basement Carpark (over 700 car spaces). The Paramount Serviced Apartments provide Serviced Apartments accommodation in melbourne and is located at 181 Exhibition Street. Setting a new standard in hotel accommodation, Ramada Encore has a unique blend of contemporary design and exceptional hospitality. The design is fresh, stylish, vibrant and upbeat, offering 108 comfortable guest rooms suited to the corporate and leisure traveler. Ramada Encore prides itself on setting new standards, providing our guests complimentary secure undercover parking, in-room Internet access and wireless high speed connectivity to all public areas, and in-room tea and coffee making facilities. 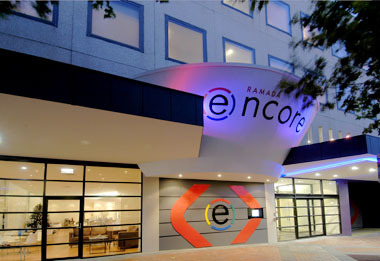 Ramada Encore Dandenong provide Hotel accommodation in Melbourne and is located at 50 McCrae Street. Award for Excellence from AAA Tourism award for 2004 and again 2005! We are also awarded for 2007 finalist for Excellency in Sustainability and for Best Back of the House. Award of Excellence for Housekeeper 2008. Tripadvisor 2014 and 2013 "Certificate of Excellence" award received. FREE WIRELESS INTERNET access in all the apartments. SECURE Car-parking $10.00! BBQ facilities for your relaxation. 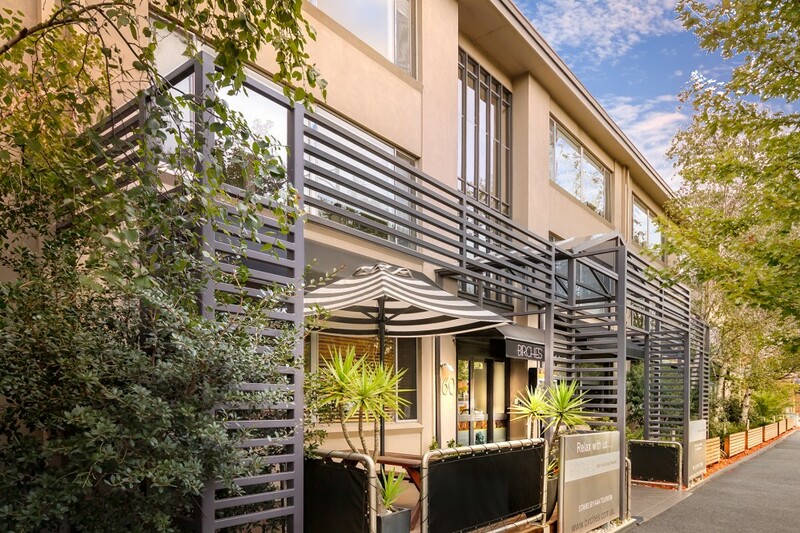 Birches Serviced Apartments are located in fashionable East Melbourne, renowned for its beautiful parks and gardens, architecture and quiet tree-lined streets. 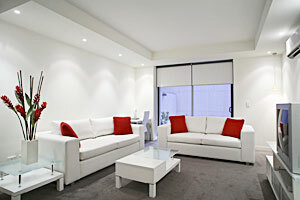 Birches Serviced Apartments provide Serviced Apartments accommodation in Melbourne and is located at 160 Simpson Street. Absolute Beachfront Property. 1, 2, and 3 bedroom apartments, plus 3 and 4 bedroom sub penthouses. 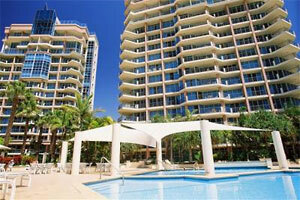 Minutes to exquisite restaurants, open air coffee houses, Casino, and the Gold Coast Exhibition and Convention Centre. Surrounded by lush tropical garden and lagoon, the facilities include a lap pool, heated pool, spa, sauna, gym and BBQ area. The beach gate is just 50 metres from the sand. Wireless Internet, Cable TV with a selection of over 40 channels. 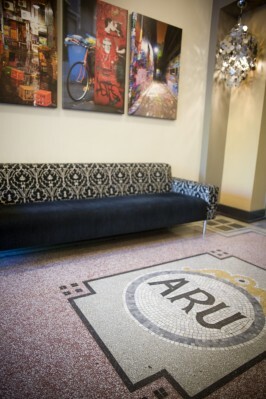 Complimentary Secure underground parking, and a tour desk to cater for all tourist attractions. 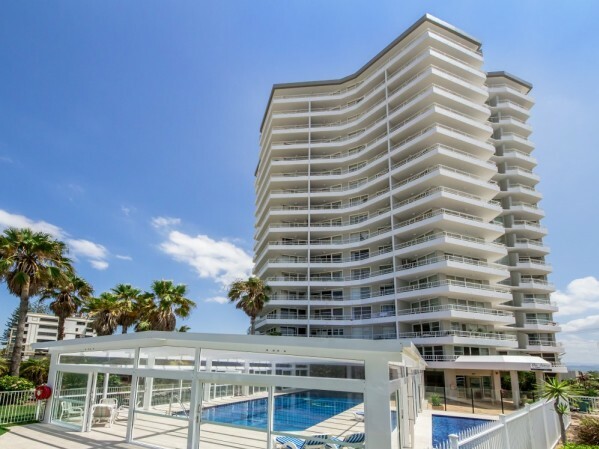 Oceana on Broadbeach provide Self Contained Apartment accommodation in Gold Coast and is located at 100 Old Burleigh Road. 19th Avenue on the Beach provide Self Contained Apartment accommodation in Gold Coast and is located at 2 Nineteenth Avenue. 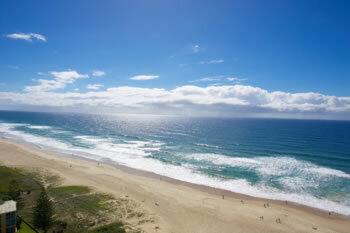 Breakers North is a 15 storey Hi-Rise, One of very few on the coast that have ABSOLUTE BEACH FRONTAGE!! The Resort is equal distance between the centre of Surfers Paradise and Broadbeach and WALKING DISTANCE TO RESTAURANTS, BARS,SHOPPING AND GOLD COAST CONVENTION CENTRE. Breakers North apartments Surfers Paradise provide Self Contained Apartment accommodation in Gold Coast and is located at 50 Old Burleigh Rd.